Megan Padua is a passionate student of the game on the fast track to becoming one of the most sought after coaches in America. 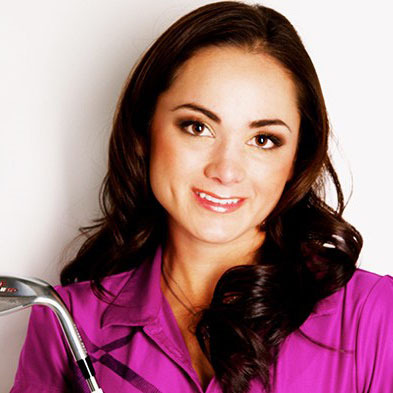 Megan brings to her programs a wealth of experience and knowledge on the cutting edge techniques for helping golfers effortlessly achieve their potential. Specializing in golfer development, Megan's unique approach to coaching inspires golfers of every age, gender and skill level. Her special efforts with junior golfers have provided young players across the country with the tools, confidence and support to participate and achieve success in any endeavor. A proud graduate of Penn State, Megan attended the Professional Golf Management Program and was Team Captain on the Penn State Varsity Women's Golf Team. Megan's dedication to excellence is evident by the numerous trips she takes each year to participate in seminars for better coaching throughout the nation. During the winter months Megan travels across the country teaching Aimpoint Express clinics and her home base is Belfair Plantation a private club in Bluffton, SC. In the summer she can be found at Maidstone Club in East Hampton, New York. Please see the Aimpoint Express section. Aimpoint Express is only available during an Aimpoint Express clinic. Megan specializes in Junior Golf Development. During a junior lesson kids will focus on building a solid framework in a fun environment. Check out the rest of Megan's instruction services. This package includes TEN 30-minute lessons. Multiple lesson credits may be redeemed at once to create a longer session. This package includes FIVE 1-hour lessons. This package includes TEN 1-hour lessons. This package includes FIFTEEN 1-hour lessons. Contact Megan Get Started Today!